Hi, I’m Maria from Cape Grove in Tokai. 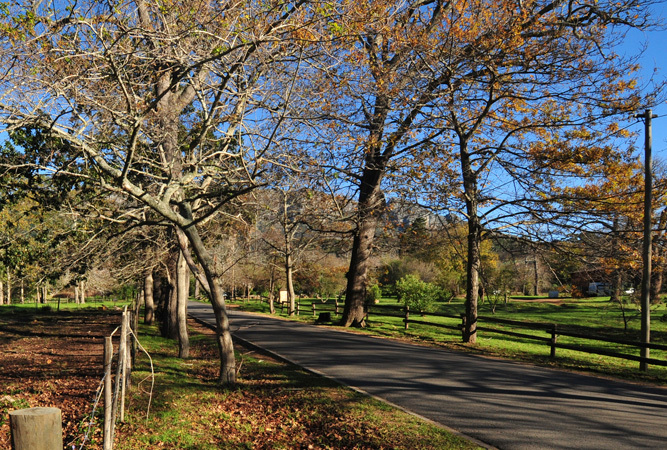 Tokai IS BEST KNOWN FOR its tranquillity and close proximity to the mountains, beaches, great restaurants and the outdoors. 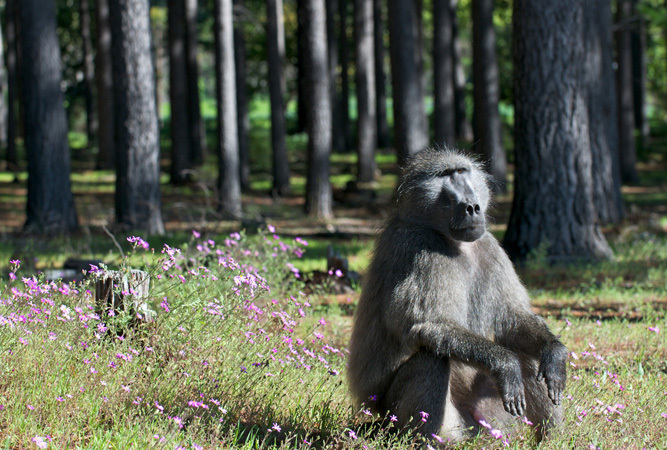 GET YOUR PICTURE TAKEN AT Silvermine Dam. This is just up the mountain from Tokai,the setting is peaceful, the scenery and views are fantastic while the bird and flora spotting are an added bonus. THE BEST beach PICTURES CAN BE TAKEN AT Noordhoek beach, where the aquamarine colour of the sea and the enormous beach are amazing. OTHER HAPPY SNAPS AT the historical wine farms on our doorstep; Groot Constantia, Klein Constantia, Uitsig, Steenberg and Buitenverwachting. WHEN THE WEATHER’S GOOD, I LIKE TO go for a walk in the forest. WHEN THE WEATHER’S BAD, I LIKE TO settle down next to a roaring log fire with some good red wine. I THINK THE BEST TIME OF YEAR TO VISIT IS March, BECAUSE the weather is great and you can get out and about and enjoy all the activities that are close by. MY FAVOURITE BREAKFAST SPOT IS Bistro 1682 at Steenberg; fantastic setting and tasty food. FOR LUNCH, I SUGGEST Tribeca in the newly revamped Forest Glade House. MY FAVOURITE RESTAURANT IS Jakes in the Village, TRY THE roast duck, the house speciality. BEST LATE NIGHT SNACK FROM Tino’s Pizzeria at Steenberg Village. MY FAVOURITE view point IS Hout Bay lookout. FOR A NIGHT OUT ON THE TOWN TRY the Hout Bay Bay Harbour Market with live music and lots to eat and drink. IF YOU WANT TO MEET LOCALS, GO TO Peddlars on the Bend. MY FAVOURITE THING TO DO WITH FRIENDS IS ride up the mountain followed by a swim in Silvermine Dam. FOR SOME LIVE MUSIC, I LIKE TO GO TO Kirstenbosch Botanic Gardens to watch the summer concerts on a Sunday evening. TO RELAX AND RESTORE MY SOUL, I LIKE TO go for a hike in the mountains on one of the many routes in our area. 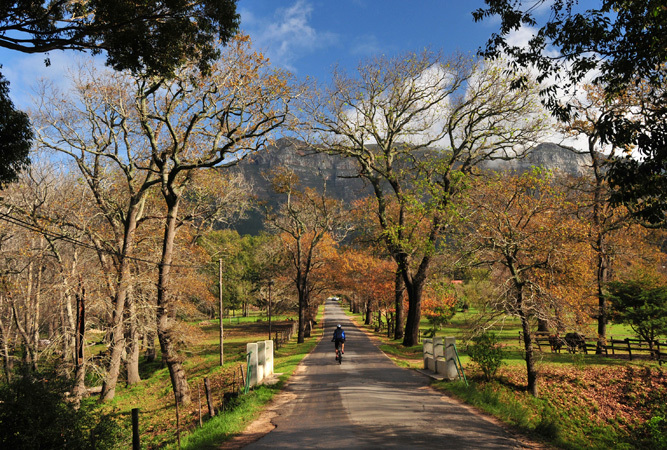 IF YOU’RE FEELING ADVENTUROUS, TRY mountain biking in the Tokai Forest or kite boarding at Muizenberg. MY FAVOURITE DRIVE IS over Chapman’s Peak. The views and scenery are awesome and there are lots of spots to stop and take in the splendour. MY FAVOURITE gift SHOP IS Present Time at Constantia Village. MY FAVOURITE whale WATCHING SPOT IS Boyes Drive. 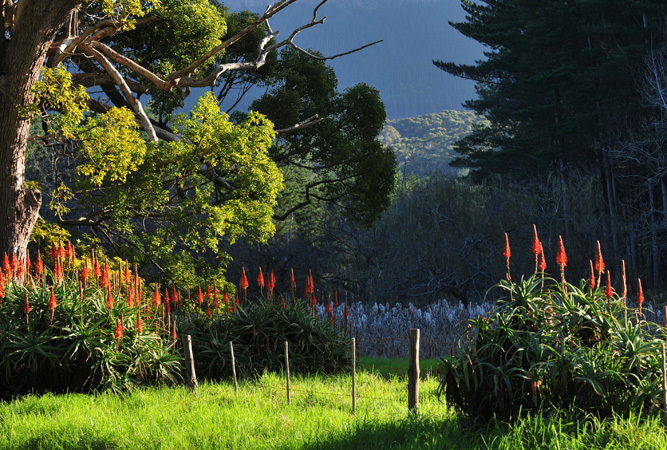 There are amazing views over False Bay and August to December are great for whale sightings. IF YOU’RE HERE ON a Saturday JOIN IN THE FUN AT the Porters Market where you can buy all sorts of fresh produce and fill up with a delicious breakfast. MY FAVOURITE MUSEUM IS the Groot Constantia Museum. CHECK OUT THE furniture, paintings and ceramics. MY FAVOURITE BUILDING IS the original Manor House at Groot Constantia FOR ITS typical Cape Dutch architecture. TRAVELLING WITH CHILDREN? A FUN OUTING IS the waterslide park at Muizenberg. BEST CHEAP AND CHEERFUL OUTING IS to the beach – Muizenberg, Noordhoek, Hout Bay! WHEN MONEY’S NO OBJECT, I LIKE TO have dinner at La Colombe at Constantia Uitsig – a five star experience. THE MOST UNUSUAL THING I SEE HERE IS the Spotted Eagle Owl, residents of the Tokai Forest. MY FAVOURITE WEEKEND GETAWAY IS De Mond near Agulhas. 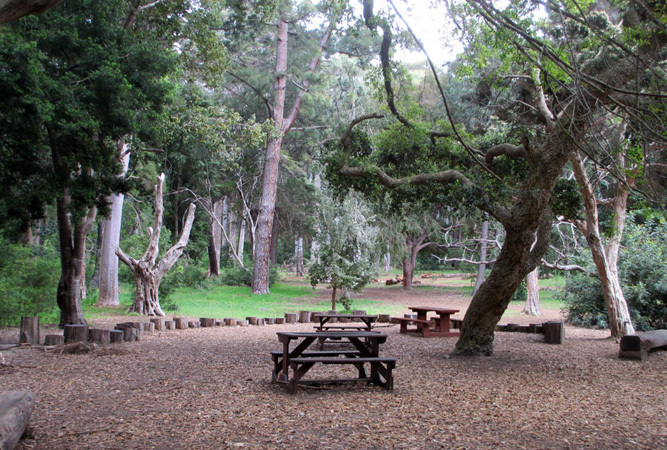 This nature reserve is approximately two hours drive away and is great place to unwind. WHEN I WANT TO GIVE BACK TO THE COMMUNITY, I spend some time at Westlake Primary School. I Love Tokai BECAUSE because of the rural feel and the selection of activities that are nearby.